When you dwell too much on a loss, you suffer. Period. Earlier this week, someone we know shared his story of loss during the Chennai floods with us. His car was drowned in the deluge and Ford has quoted Rs.2.62 Lakh for fixing it. His insurance claim will cover about 50 % of the cost, the balance however has to be paid by him. “Initially, I could not even reconcile to the fact that my car was sunk. I wept. I felt miserable for a few days. When I got the quote from Ford, I was shattered. Then I just shrugged it all away saying, ‘If the car has to be fixed, it has to be fixed.’ I felt better. When I looked beyond my loss, when I looked around me, I saw so many people whose livelihoods had been wiped out in those seven hours. I felt my loss was still manageable. I have accepted my loss for what it is. I don’t suffer on this count anymore,” he said to me over a cup of tea. He’s a young man. This was his first car. His sentiments are perfectly understandable. I really admire his ability to have sorted out his perspectives over his loss within himself. To be sure, that is the only way. You have to go through the phases of grief, grief-induced-suffering, grudging acceptance, acceptance and moving on over every loss. You suffer only when you refuse to accept a situation for what it is. The more you cling on to your grief, the more you will resist what has happened and what is happening to you. Grief, interestingly, is very comforting. It’s strangely a warm feeling to be wallowing in self-pity. People will come to you, hold your hand, support you, dote over you and perhaps even pamper you when you are in grief. But how long can people be with you? They have their lives to deal with. At some point, people will peel away. But because you have become used to your grief, you continue to be in that grief-zone – so you will go on suffering. Suffering makes Life very difficult. Suffering is what you invite into your Life by refusing to accept the Life that you have been given. Your personal choices cause all your suffering. But like my young friend, if you can look up from your loss, you will realize the futility of clinging on to your grief. That’s when you will accept your new reality. The moment you accept a situation – any situation – you will stop suffering! Just as death is inevitable, so is loss. Whenever you are faced with a material loss or emotional loss (a break-up, poor chemistry with someone), you must reason that everything is impermanent. Including your own Life. Consider this: A car that’s lost can be replaced with a new one! But a moment lost – grieving and suffering – will never come back. Already, your Life is shorter by the time you have taken to read this post. So, stop your suffering! 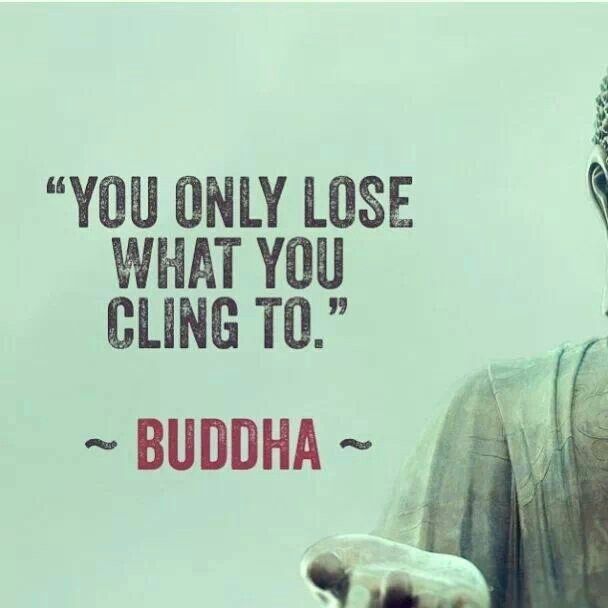 Let your loss go! Embrace your new reality for this is the only one you have right now!